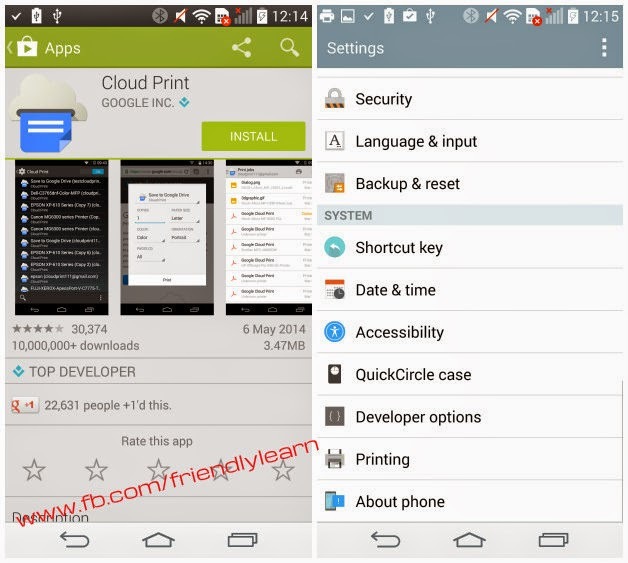 Download, install, and launch Cloud Print on your Android phone or tablet. Set your Google account, making sure that you use the same account as the one you registered on Google Cloud Print. Tap the printer icon to select a file to print. You can select a file from Google Drive, Dropbox, Gallery, and other file manager apps on your device. The next screen will show you a list of your printers registered on Google Cloud Print. Select one printer. The print preview page will appear. You will be able to set the orientation of the document, media size, DPI, and the number of copies. Once all are set, tap the paper plane icon at the top row to send the data to Google Cloud Print and print your document.